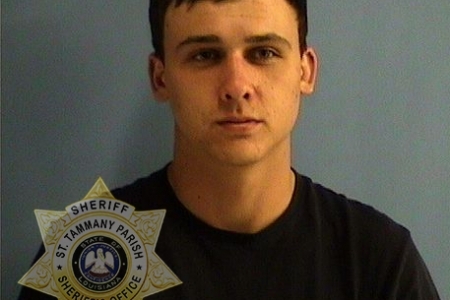 Thomas Jones (DOB 8/16/1994) of Pearl River was picked up Tuesday morning (June 12) and arrested on a warrant for LRS 14:103 Disturbing the Peace in connection with the deadly incident that occurred Saturday evening (June 9) along the West Pearl River. Jones was booked into the St. Tammany Parish Jail. A warrant was issued for Jones’ arrest Monday (June 11) and he was located Tuesday morning by detectives with the assistance of members of the STPSO Marine Division at a camp on the West Pearl River, where he was taken into custody without incident. He was also booked on an unrelated Contempt of Court Warrant for Non-support in the amount of $7,052.